The Euler Method is a very simple method used for numerical solution of initial-value problems. Although there are much better methods in practise, it is a nice intuitive mechanism. Note that given the start and end points, and the size of each step, we figure out the number of steps. Inside the loop, we calculate each successive approximation. 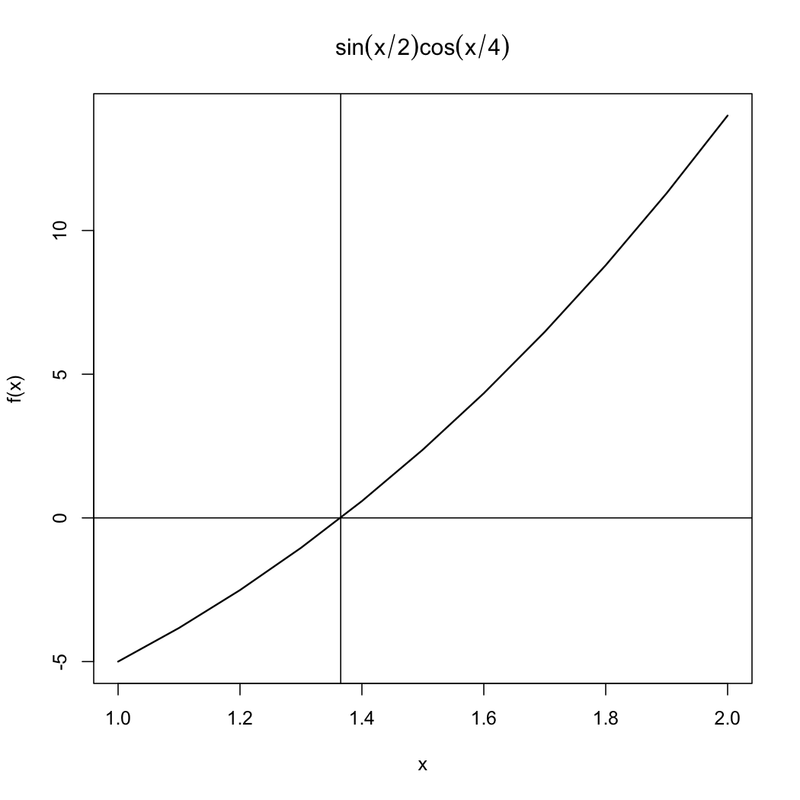 Here is a toy example of implementing Newton’s method in R. I found some old code that I had written a few years ago when illustrating the difference between convergence properties of various root-finding algorithms, and this example shows a couple of nice features of R.
* The step-size for numerical differentiation is hardcoded to be 0.001. This is arbitrary and should probably be a parameter. 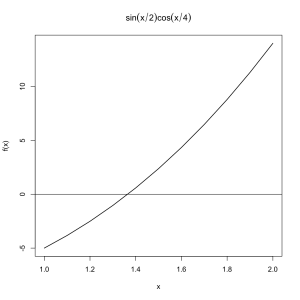 It seems obvious from the plot that the zero of f(x) in the range [1,2] is somewhere between x=1.3 and x=1.4. Note that we can bind the x parameter in the expression when calling eval().